When Edward Harvey invented the original squares and triangles that snapped together to help the formation of cubes and prisms in the early 1970s, he had little idea that nearly 50 years later children around the world would still be enjoying the innovation. Edward’s son, Ronan realised the potential of this wonderful and unique tool, and marketed it to the education fraternity. 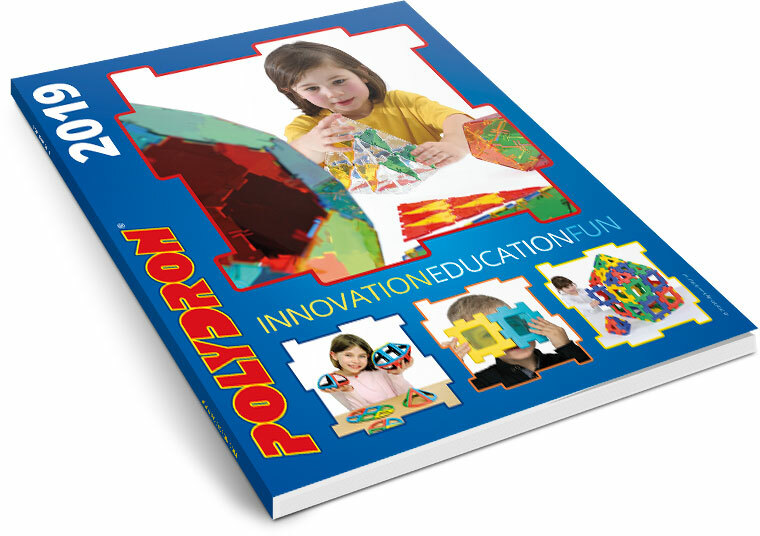 This innovative tool has grown in popularity and has helped and inspired millions of children around the world. The present custodian of Polydron, Richard Hardstaff, is as passionate about Polydron as its inventor. He has overseen new innovations such as the new Magnetic and Giant ranges, which will continue to inspire and help educate children for many years to come. He has also played an important role in starting the company, Educational Advantage, which manufactures it’s own unique products as well as acting as a key distribution partner for some select companies from around the world. Today the Polydron team is a tight knit and dedicated unit who work from a modern facility in the Cotswolds within the UK. We are focused on giving the best possible service to all of our customers in a very competitive market place. Richard joined Polydron in 1984 and has been involved in every aspect of its development. He has transformed the company over the past fifteen years, introducing offshore manufacturing in three different worldwide locations, and continues to use his expertise and experience to introduce innovative new items to the Polydron portfolio of products. These new products have made their mark as essential and important additions to classrooms around the globe. He has also played a key role in building Polydron’s valuable worldwide brand. His experience ensures that Polydron’s future is secure and in safe hands. Cyril manages all sales matters and has been the face of the company around the globe since 2004. He has become well-known and trusted in the industry and has clocked up many many air miles in helping to build the business in all corners of the world. Darren joined the company in 2012, initially to work in the UK, but such was his enthusiasm and energy for the job that it was quickly recognised that his unique and tireless approach would be better served in an international role. He has excelled in establishing a rapport with our customers around the world and has brought many qualities to the company, including contributing new product ideas and helping to grow the business continually with his knowledge and approach. Darren took up the position of Sales Director in 2018. Andy joined the company in 2018. He brings a wealth of experience within logistics and operations and has played a key role in facilitating our improving worldwide distribution capabilities. He has successfully navigated the way through the complex operation of opening European and American distribution outlets that have greatly improved our profile around the world. In addition to this he has managed the in-house operations, streamlining and improving our overall performance helping the company to be ready for the challenges that lie ahead. Hannah joined in 2015 as an apprentice in Business Administration and quickly became a valuable asset to the company. She has shown a willingness to learn and develop her skills and has shown a keen interest in marketing. The role of marketing executive was a natural progression, and has seen her thrive to become a regular at trade fairs and a leading light in our social media profile. Alongside marketing Hannah is also responsible for our sales support. Tracy has been with the company since 2002 and has become a vital part of the whole operation. She has spent time in most departments, learning and contributing a great deal towards the company’s success. Her commitment and enthusiasm make her an essential part of the organisation. Her knowledge and experience have helped us through the transformation of moving our production from the UK to offshore. Since Jamie joined the company in 2010 he has quickly established himself as an important member of the management team. His flexibility commitment and enthusiasm have contributed a huge amount. The company has enjoyed continual growth during his time and Jamie has adapted at every point to ensure that our warehouse team can meet the ever-increasing demand.